This year more than ever there is a need to offer prayer for our priests. We need to pray for priests who will be holy and courageous enough to speak the truth - to preach Christ boldly before all people. On the first three beads pray - 1. The Our Father, 2. The Hail Mary, 3. The Apostles' Creed. 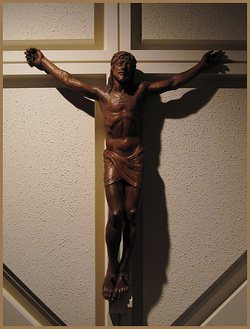 R. In atonement for our sins and those of the whole world.